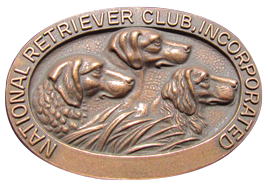 WELCOME to the Official Blog of the 2011 National Open, November 13-19, brought to you by the Retriever News, written by Vickie Lamb, and sponsored by Purina and Avery. We hope you enjoy these multi-daily updates on our prestigious championship event, held this year in Oakdale, California. Enjoy your stay and come back often! More to come... on this. Three dogs have handled on the stand-up station, the left middle island bird. Three dogs have handled on the left retired mark. And, two dogs have handled on the long retired--one of those became a pick up.